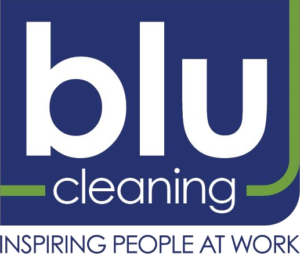 Blu Cleaning will strive to minimize our environmental impact through operations, administration and all aspects of our business. We also commit to help both our customers and suppliers to minimize their impact on the environment through suggestions, referrals and actions. We clean for health and can help you with LEEDs (Leadership in Energy & Environmental Development) certification by doing our part. We use Green Seal-37 certified products as much as possible. If Green Seal certified products are not available or effective for the job such as toilet bowl cleaner in an area with high iron concentrations in the water, the cleaning products must comply with the California Code of Regulation maximum allowable VOC (volatile organic compound) levels. Additionally if Green Seal products are not available, we consult with our supplier to find the most environmentally suitable product available. We use high end ProTeam backpack vacuums designed for the environment! The Quadruple filtration system will improve indoor air quality and reduces Asthma and allergy irritants by capturing 98% of all allergen particles. ProTeam has partnered with the American Lung Association to educate the public about indoor air quality. Disinfectants/Chemicals – Green Seal 37 products used if available (point 2). Blu Cleaning uses a proportioning system from Canberra called JAWS 9000 Series Captive Closed-Loop Chemical Dispensing System to mix concentrated cleaning agents. The system is user friendly and requires no measurement. Adjacent to the JAWS system in the janitorial closets are operation instructions in English and Spanish. The system is checked monthly by the custodial crew and documented by the supervisor to ensure it is operating as designed. Portion controlled/locked in system. You cannot change the dilution rate. System attaches directly to the faucet. Easy slide bottle feature allows for quick product changes. Instantly primes. When disengaged, product instantly drains back into the container. No Cross Contamination. Each product is numbered and color coded for simplified use (the concentrated bottles and the spray bottles are both color coded). Educator system is more accurate over varying water pressures than gravity drip system. Customers can purchase recycled paper products & degradable trash bags. We purchase other equipment which best complies or is green certified including floor scrubbers, floor equipment and carpet equipment.